Okay, you caught me. I have been watching a ton of “Do it on a Dime” lately. 2019 is going to be my year. I am going to organize my life, save money, produce amazing content and patterns, be an awesome wife, an awesome friend, and an awesome mom… all while being the BEST ME! Well, I’ll give it the ol’ college try anyway. While I was at the Dollar Tree being my best me, I became insanely inspired by all of the storage options they have. I really wanted do a fun DIY for you guys but since I am getting ready to move, I needed this to be something small, quick and useful. Rest assured; more DIYs are on the way once I get settled into our new home. I do not own a yarn bowl, not because I don’t want one. Trust me, I do. I just do not like the price tag for any that I have found. I knew that this would be a great opportunity to make myself one for a fraction of the cost and provide some great content for my favorite community. So, let’s get down to it. Everything you see in this photo is from the Dollar Tree. Note: There is a lace ribbon in the photo that I chose not to use. -A drill. If you do not have a drill at home feel free to use the binder clip method. -Glue. Any industrial glue will work fine. The Dollar Tree has some. I’ve heard it works great. I also ended up using my hot glue gun. Skip this step if you aren’t using this as a yarn bowl or if you’re using the binder clip method. For this method, put a cute binder clip on the top of the bowl with the handles facing upwards. Feed your yarn through the handles. Binder clips can be found at the Dollar Tree as well. Using your Dollar Tree sanding sponge, sand the hole so that there are no sharp edges. Don’t have spray paint? Don’t worry about it! This bowl is going to look amazing with or without it. Be sure to wipe down all pieces before painting. Working in a well ventilated area, spray paint the candle stick holder and the inside of the bowl. I did this in a large cardboard box outside. Allow to dry. I only did one coat. It isn’t perfect but that doesn’t bother me at all. Add as many coats as you like to get the coverage you like. Photographed is the Jute Twine I mentioned earlier. This was found at the Dollar Tree in the gardening area. Add the twine around the top of the bowl. I ended up using hot glue in this step because the dry time is so much quicker. Put a dot of hot glue on the top-back of the bowl to secure the twine to the bowl. 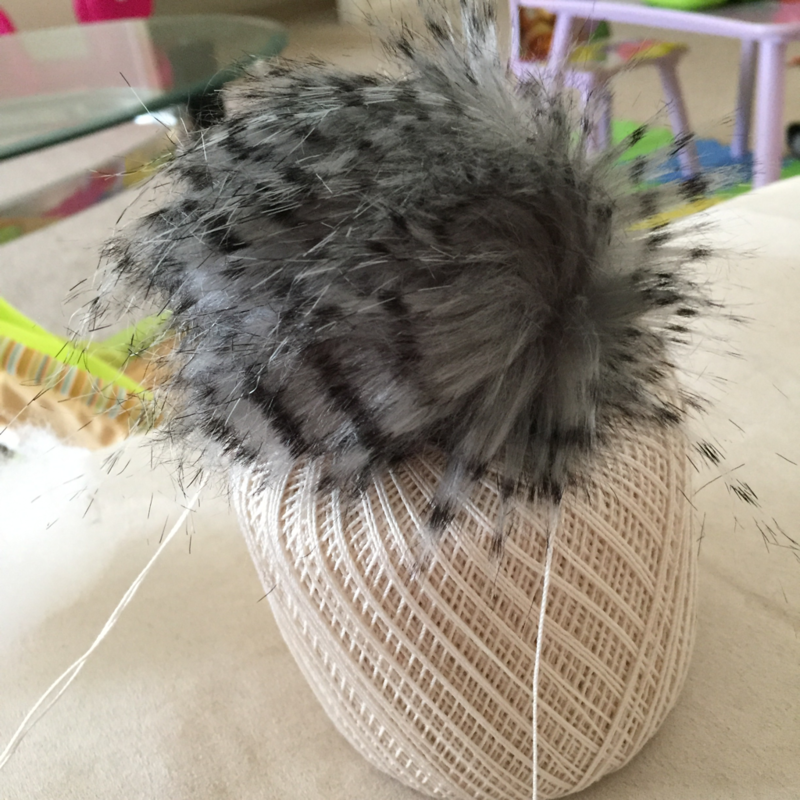 Apply a thin line of glue all around the tip of the bowl and wrap with the twine. After this round you will only need to add glue here-and-there until the last round. I worked the twine until I got to my drilled hole. This ended up being about 1.5 inches. For the last round, apply a thin strip of glue all around the bowl and wrap with twine. Cut the twine. Again, I opted to use my hot glue for this section. Note: If pebbles aren’t your thing, the Dollar Tree had a few different kinds of marble halves that could be used and would look amazing! For this, you have to use your judgement. Be careful not to cover your drilled hole. Tips: Try to fit the pebbles together like a puzzle. Cover as much of the bowl as you can. Slightly cover the wrapped twine with the pebbles. You could stop here and have a beautiful yarn/display bowl for only $4. ..but I’m extra and had to put mine on a pedestal. Put a generous amount of industrial glue on the candle stick and center it on the bottom of the bowl. Place something heavy on top and allow to dry overnight. Enjoy your beautiful, expensive-looking (but secretly cheap!) yarn bowl. Keep in mind: this doesn’t have to be used as a yarn bowl. Use it for storing or displaying anything your heart desires. That’s it, guys. I hope you love it as much as I do. Tell me what you are going to use your bowl for! If you’d like to see me make more affordable DIYs please comment below and let me know. Our move is complete and we are unpacked. I am so glad to have that behind us. Things are starting to get back into a routine and I am so happy for that. In the process of moving, I somehow lost my CROJO. Talk about a bummer! I made a post in my Community Group asking for an instant gratification project to help me out of my funk. The response was AWESOME. There were lots of great ideas. From those ideas, I chose to go with a small clutch/crossbody bag. You can find the FREE pattern for the Dayla Clutch/Crossbody Bag HERE!!! I knew that I wanted a simple strap to go with it so I scoured my yarn stash and found myself inspired by some Sashay yarn that I have had FOREVER. Please don’t fret if you don’t have any Sashay yarn hidden away in your stash. This will work great with any super bulky – size 6 yarn. This strap is very sturdy and can be used for any purse. It could even be used as a replacement strap for a store bought purse. Step 1: Attach the yarn to one of the D-Rings with a Double Knot. Step 4: Make a Chain by yarning over and pulling through. Continue to make a chain until you reach your desired length. You can find suggested lengths below. Step 5: Once desired length is met, insert your hook into the second D-Ring. If you are making a wristlet, attach it to the same D-Ring that your other side is attached to. 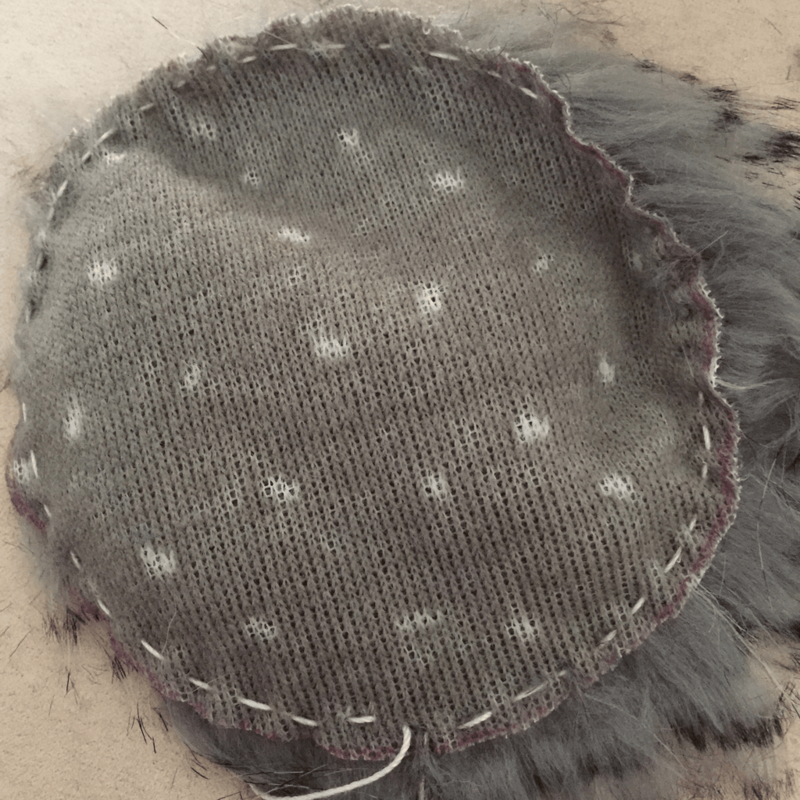 Step 6: Slip Stitch around the D-Ring to attach it. Step 7: Finish off by cutting the yarn and pulling it all the way through the loop on your hook. Step 8: Thread the “tail” through the large/blunt needle. Weave in and out of the chain 3-4 times. Cut the remaining tail. 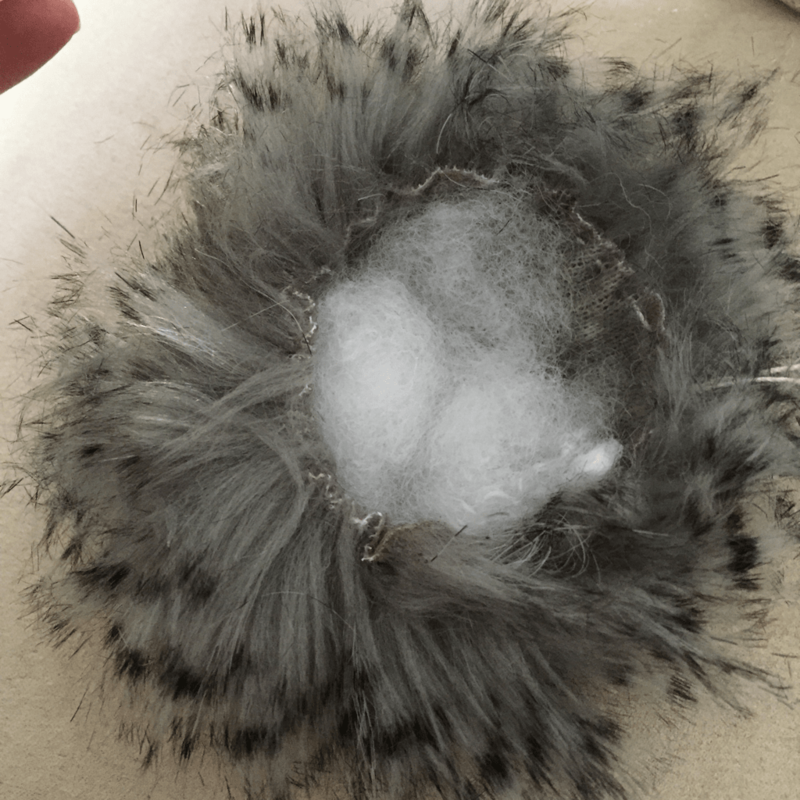 Guys you cannot buy pompoms this luxurious.. maybe on Etsy but my point is homemade is the way to go.. as a crafter, that is my philosophy for most things..
http://www.ravelry.com/patterns/library/la-vie-en-rose-earflap-hatNow, I’ve bought A LOT of faux fur pompoms but I had to stop using them because of the weight alone! They are heavy! 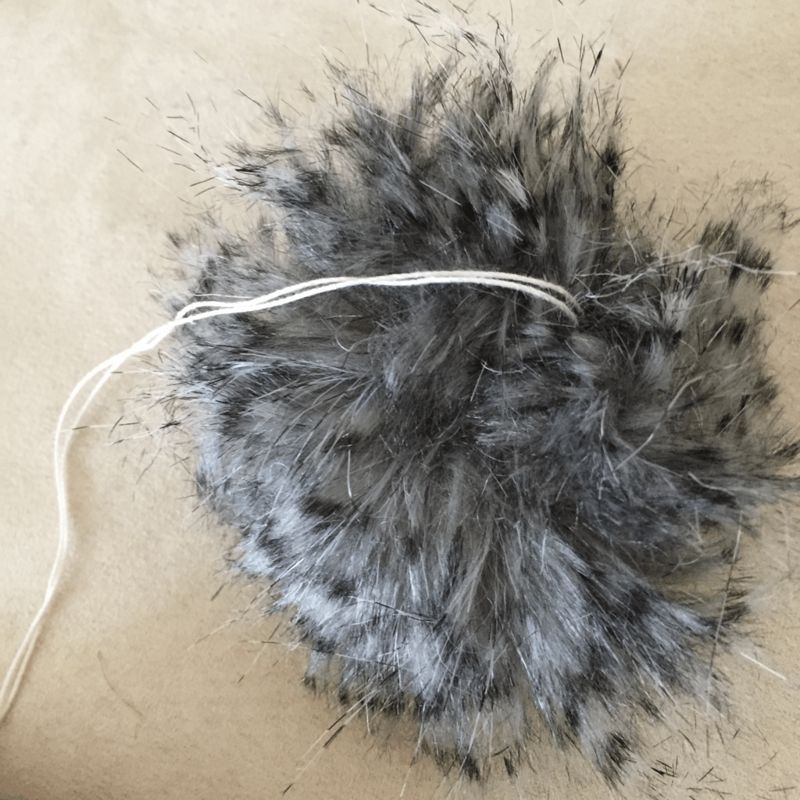 When I attach them to my hats, they bob around instead of being a nice secure pompom! Do not be intimated, this is so easy you won’t believe it! They take 7-10 minutes and they are a fraction of the cost! 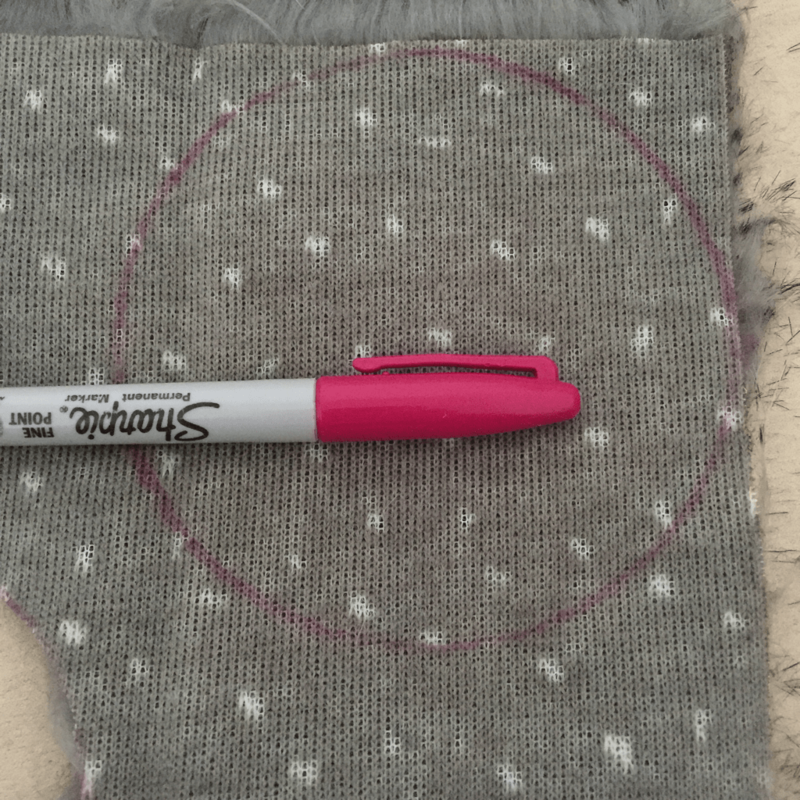 A Circle template for tracing. I used an old CD! 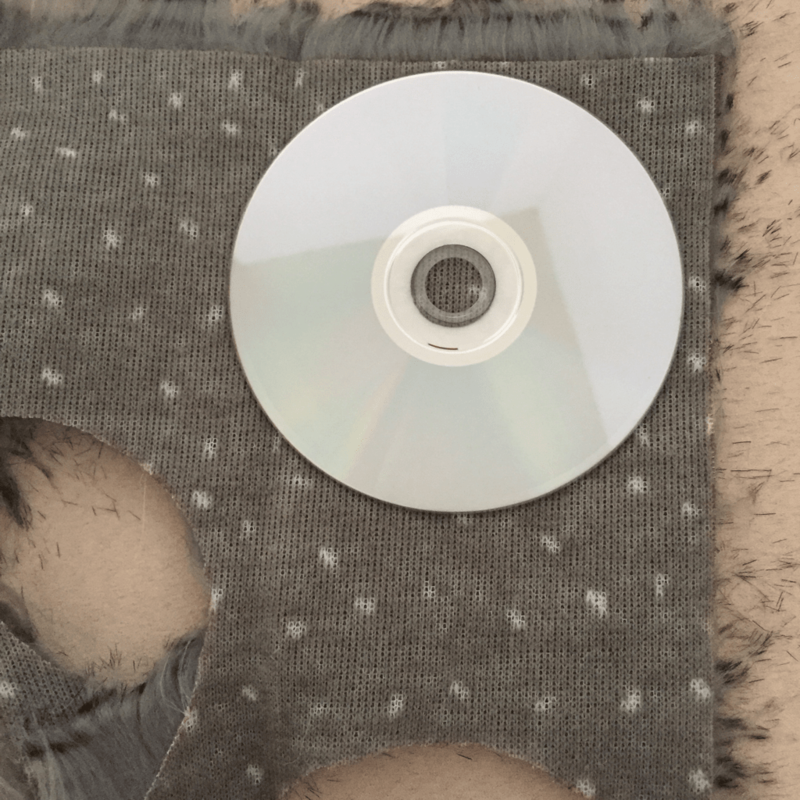 ​Step 2: Trace around the CD or circle template. I used a Sharpie. ​Step 3: Cut it out. 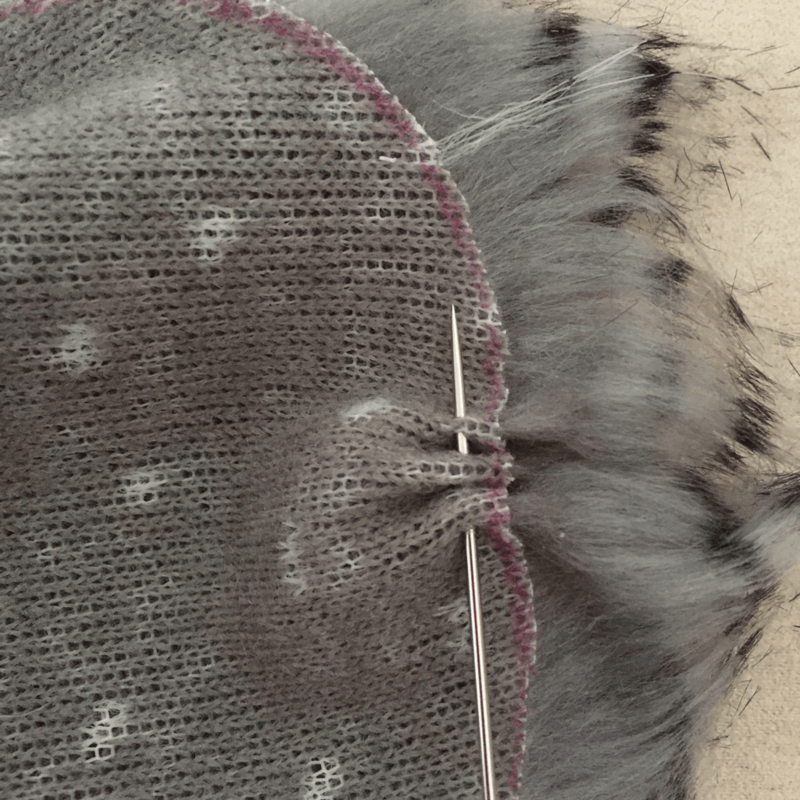 With the needle and thread do a simple stitch around the edge. I’m no seamstress guys! 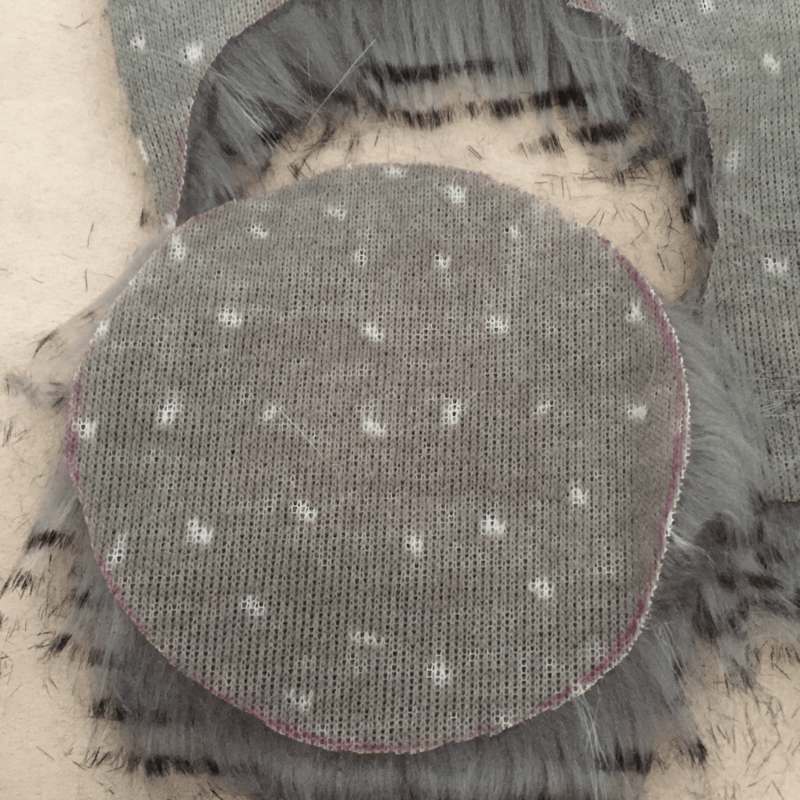 ​Step 5: Start to pull the circle closed and add a little polyfill. ​Step 6: Pull it tight and tie a triple knot. Attach to hat! It’s that simple guys! … and that’s it guys! Easy peasy, right? 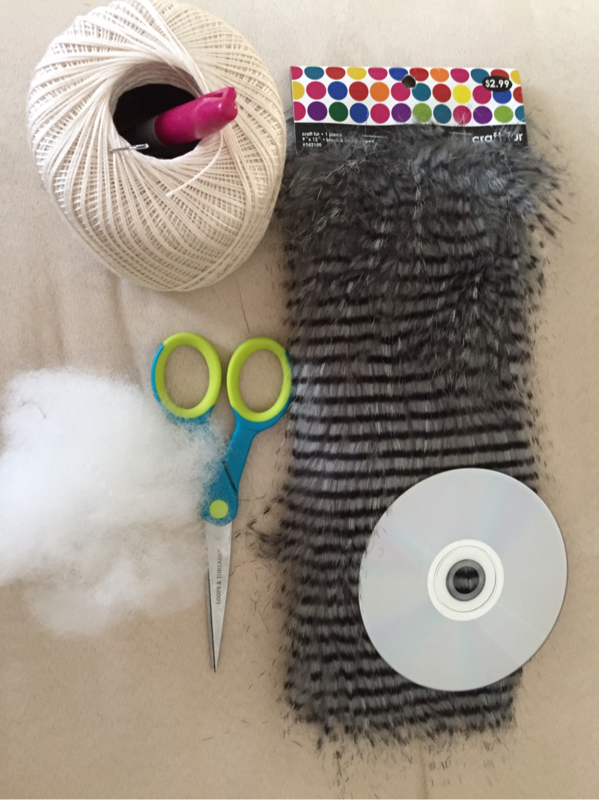 I hope this tutorial is helpful and I can’t wait to see your furry pompoms!! Let’s keep in touch! I’d love to see photos of the finished project!